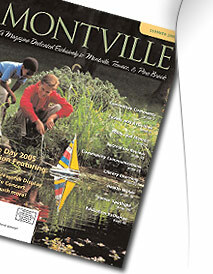 Montville is a suburban community of 21,000 residents within the New York metropolitan area, with a full range of municipal services, an excellent public school system and a model public library. This is an active, vibrant community providing services, activities and volunteer opportunities in everything from sports and 4th of July celebrations for all groups. Montville Township is 19 square miles and comprised of 3 sections: Towaco, Pine Brook and Montville. Public water and sewer is available to approximately 80% of our residents. Montville offers a variety of housing types from garden apartments to small, older homes to luxury condominiums to spacious estate homes. Montville is ideally located near the junction of I-287 and I-80, within commuting distance of Manhattan, Newark, Parsippany, Morristown and other major employment centers. New Jersey Transit trains and buses stop in Montville, and the Lakeland Bus Company provides bus service to Port Authority in Manhattan. As part of Morris County, Montville is a highly desirable location for families with children and also for empty-nesters and retirees.